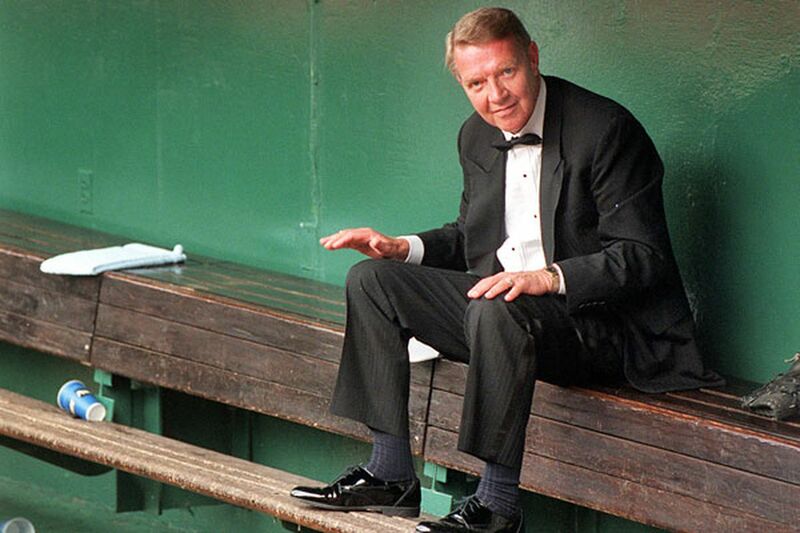 MIAMI -- Ten years later, Harry Kalas is still everywhere at Citizens Bank Park. And for that, his oldest son is grateful. The Phillies still honor Kalas in several ways at every home game. His signature “Outta Here!” call blares over the sound system after each Phillies home run. A bronze statue of Kalas stands on the outfield concourse, not far from “Harry the K’s” restaurant. And after every Phillies victory, a video of Kalas singing his favorite song -- Frank Sinatra’s “High Hopes” -- is shown on Phanavision in left field. Todd Kalas was 5 years old when his father was hired by the Phillies. These days, he’s the lead play-by-play announcer on Astros’ telecasts. Scott Kingery came off the bench Saturday night and rapped two doubles, giving the seldom-used infielder five hits in his last seven plate appearances. It even earned him a rare start Sunday. Manager Gabe Kapler said he wasn’t certain which position Kingery will play in the series finale against the Marlins. Kingery’s only other start this season came at second base, where Cesar Hernandez is batting .178 with a .240 on-base percentage. But Hernandez is 7-for-26 with two homers and a .577 slugging percentage against Marlins starter Jose Urena. It’s conceivable that Kingery could start at third base in place of Maikel Franco, who is 5-for-19 with a .421 slugging percentage against Urena. Regardless, the Phillies have been encouraged by Kingery’s swings, especially considering his lack of playing time. He’s 5-for-10 with one walk and only two strikeouts. Harper has reached base in all 13 games this season. He extended his streak with a first-inning walk against Marlins lefty Caleb Smith. … Crazy game Saturday for triple-A Lehigh Valley. The IronPigs hit nine homers in a 20-18 victory at Rochester. Dylan Cozens and Austin Romine hit back-to-back homers in back-to-back innings. … Vince Velasquez (0-0, 3.00 ERA) will start the series finale Sunday against Marlins right-hander Jose Urena (0-3, 9.22).